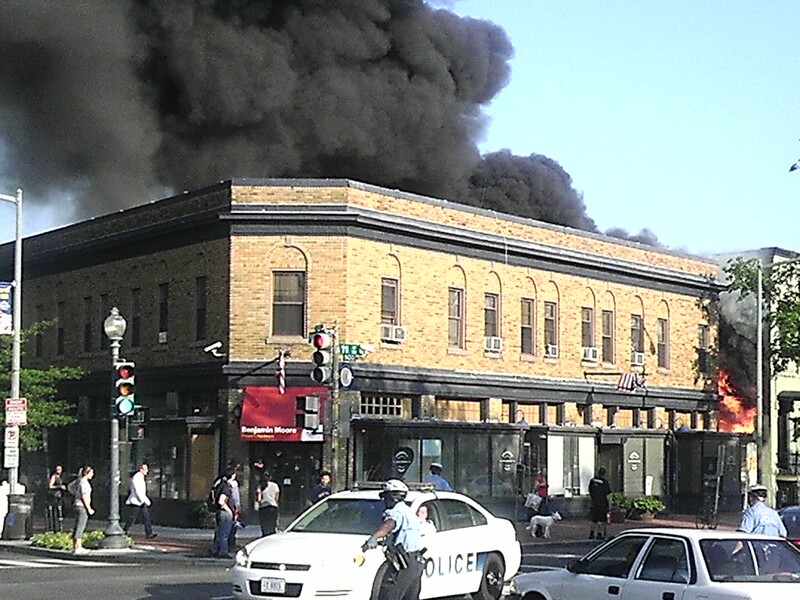 Much – if not all – of Fragers’ Hardware was lost to a four alarm fire that started about 6:35 pm. There were some 50 emergency response vehicles and 200 firefighters on site to fight the blaze in the 93 year old building. DC Fire Department has advised residents of Capitol Hill including Lincoln Park, and Hill East to stay inside with windows closed and air conditioners on in order to filter the air. Hazmat teams are on site to monitor the air quality which has been characterized by some sources as “toxic” owing to the paints, solvents, varnishes and glue which helped fuel the fire. 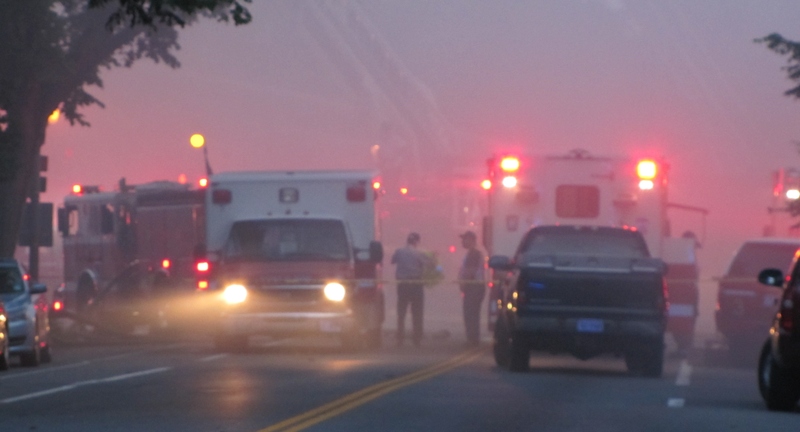 Two officers were injured fighting the fire but are expected to recover. 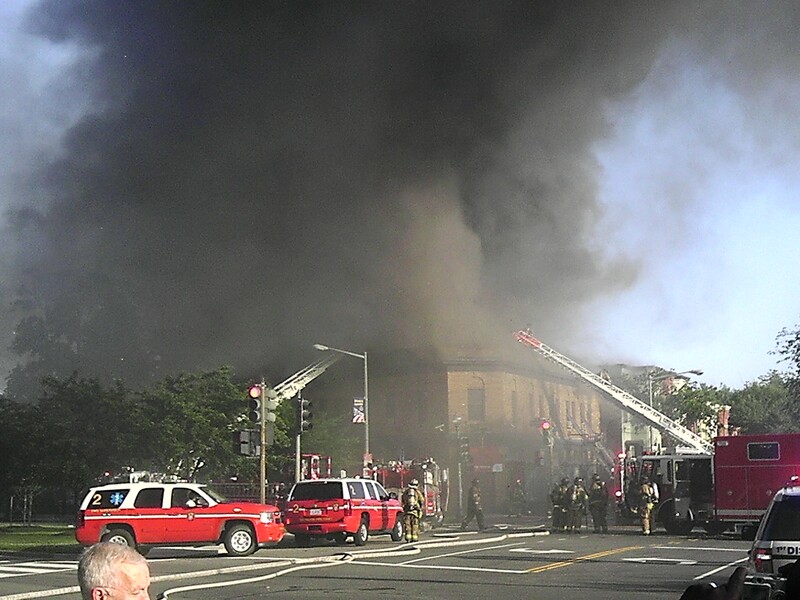 Capitol Hill Streets between 9th and 13th and D and G SE – including Pennsylvania Avenue are closed. Councilmember Wells tweeted at 9:50 pm that the fire is under control and the building – at that point – had not collapsed. 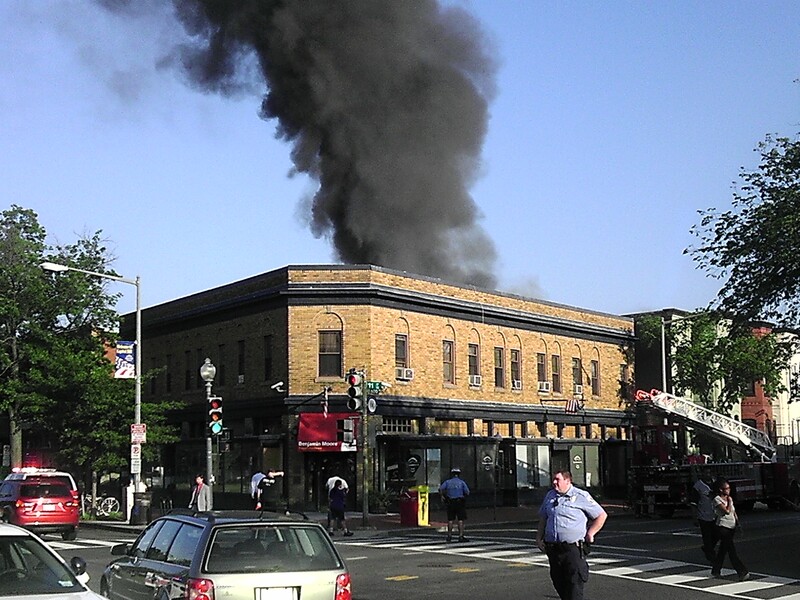 Earlier this evening, Hill resident Mark Shlien was biking past the Tune Inn on Pennsylvania Avenue at 6:35pm and saw a large plume of smoke arising to the east. He pedaled to the source of the smoke at Fragers’. 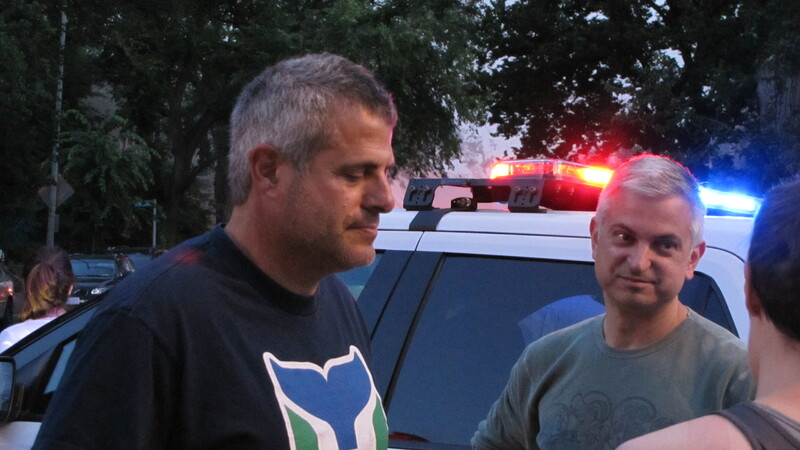 When he arrived, he said, there were only a few police cars on site in order to deal with the rush hour traffic. Shlien said that people were starting to evacuate the store and he saw someone on the second story opening a window. Additional police on bikes arrived thereafter, and the first fire engine several minutes after that. At that point, he said, flames had already erupted from the structure’s roof. Shlien took some of the first photos of the Fragers’ fire posted below. Shlien contributed the first four photos below to Capitol Hill Corner. Heartbroken, Larry, that I have to congratulate you on your reporting…..your numerous postings on the fire, allowed me (though well away from home) to almost smell the foul smoke. Also, well done Mark, for capturing those first awful moments in a drama that is destined to devastate the neighborhood for a long time. 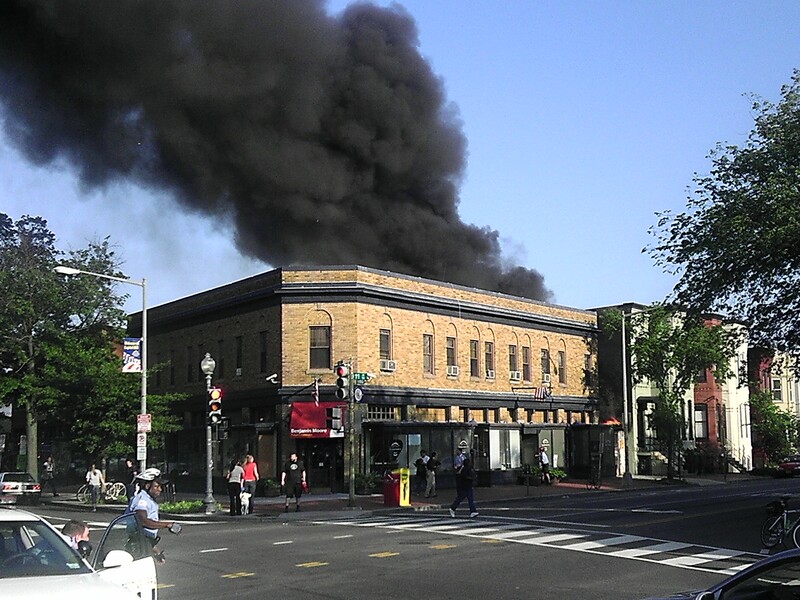 Meanwhile, what is it about our neighborhood and fires: The Market, Capitol Lounge, The Tune….and now our beloved Frager’s…..?